Commencement events celebrating the Augustana University Class of 2019 will be held May 23-25. 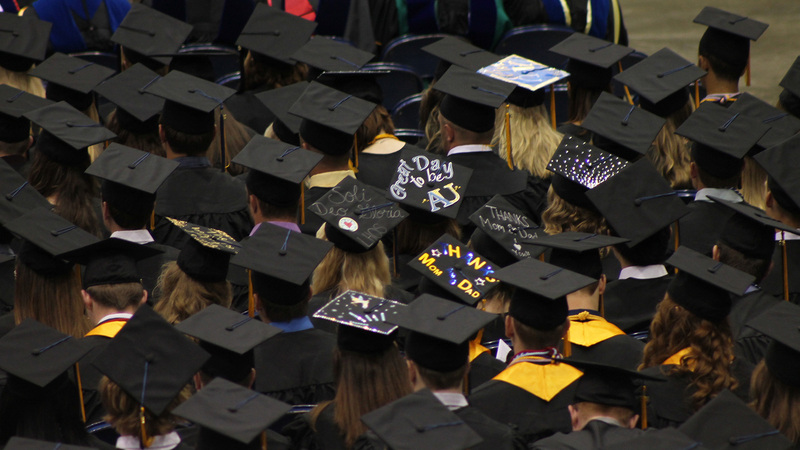 Connect with other families, alumni and students during graduation via social media by using the #AugieGrad hashtag. Post about your travels to campus, the speaker, the joys of seeing your son/daughter/brother/sister/friend graduate from Augustana! Members of the Class of 2019 are invited to join President Stephanie Herseth Sandlin and her family at Kirkeby-Over Stadium for "a suite farewell" featuring Knockerball, games and a 6 p.m. class photo on the field, followed by free food and fun in the President's Suite. Elmen Center, 2505 S. Grange Ave.
Rehearsal attendance is required. All undergraduate candidates for graduation must either be present or have a stand-in for rehearsal. Caps and gowns will be distributed at rehearsal. Center for Western Studies, 2121 S. Summit Ave. 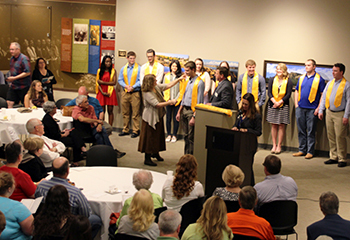 Graduates who participated in the Civitas Honors Program will be recognized and receive their honorary gold stoles. Join us at the Center for Western Studies to celebrate with graduates, their families and friends. 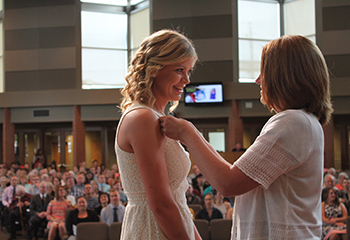 Hear reflections from 2019 nursing graduates and see members of the class receive their nurse pins, presented by nursing department faculty members. Augustana University President Stephanie Herseth Sandlin will host this special reception for the Class of 2019 and their families. Refreshments will be served and this event is free. Seniors, family members and faculty/staff are invited to join us for Baccalaureate, a festive worship service accompanied by the Augustana Orchestra and The Augustana Choir. Graduates should arrive by 9:30 a.m. to robe and line up. Caps and gowns should be worn. No tickets required. Tickets ($14/adult, $8.25/child) will be sold at the door. NOTE: This meal is included for Augustana students participating in the 2018-19 meal plan; tickets for these students are not required. Congratulations Class of 2019! We're looking forward to celebrating you! Tickets are not required. Doors open for seating at 1 p.m. Seating is general admission. Graduates should arrive by 1:15 p.m. to robe and line up. Graduates: Wear caps and gowns. Can't make it to campus for the ceremony? 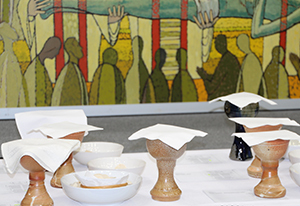 Watch it live online beginning at 2 p.m.
Chapel of Reconciliation, 2125 S. Summit Ave.
Congratulations to our master's degree students! We are excited to celebrate your accomplishments! Doors open for seating at 6:30 p.m. Seating is general admission. Tickets are not required. Graduates should arrive in the first level of the Madsen Center (Rotunda area) by 6:30 p.m. to robe and line up. Graduates: Wear caps and gowns; please carry your hoods. This ceremony will be recorded and shared after the event.